Furniture Polish Dubai New furniture looks good but by the section of time passed, it looks faded and old. Buying new furniture is a good idea but not every time. It will cost a lot of money and time as well. And who wants to through their good piece of furniture anyway? Furniture polishing in Dubai by Handyman-Slime Technical Services gives you the best painting in Dubai. Unlike other companies who claim affordable prices of Furniture polishing in Dubai but overcharges for their services, Handyman-Slime gives the affordable services and satisfies customers with the end results. Handyman-Slime Technical Services have years of experience in the spray polishing and Furniture polishing Dubai. We are equipped with new aids of polishing based on furniture material. We will be there when you are in need of renting properties, selling furniture, house or office renovations and on all such events. We will handle your furniture polishing with great care without making undesired changes. We usually do the task colours match to any makeover you may be doing.We assure new life to your old furniture which may have sentimental value. Painting or polishing can add another something or more of life to the item. It gives an instant shine. 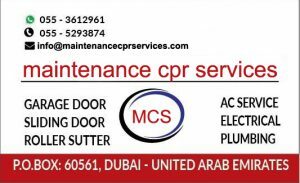 • Carpenters Dubai repairs tiny wooden scratches and dents. • It helps in prevention from termites. • Carpenters Dubai saves the wood from organic fungi. • It prolongs the furniture life. • It fixes the surface of the wood. • Carpenters Dubai helps in water and other liquid stain prevention. Metal furniture such as furniture made out of iron, brass, aluminum, steel, silver, and copper required polish to heal from the oxidation and rust. It helps to prevent stains. • It helps in removing furniture stains. • Carpenters Dubai helps to stop oxidation and rust. • It also prolongs the life of the furniture. • It gives a smooth look. 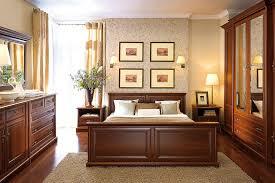 • Carpenters Dubai helps to prevent furniture damage. • It also gives instant shine to the furniture. Our furniture painting services Dubai are able of doing following polishing services e.g. spray polish and brush polish. We have a facility for in-house Furniture polishing in Dubai.